Rescue and salvage ships were destroyer-sized ships equipped with firefighting equipment and battle damage repair facilities. Each carried diver teams for underwater work. Their function was to salvage damaged warships in combat zones by helping to extinguish fires and control flooding, then tow the damaged ship to safer waters. Many of the ships were manned by civilian crews from commercial sea salvage firms operating under contract. 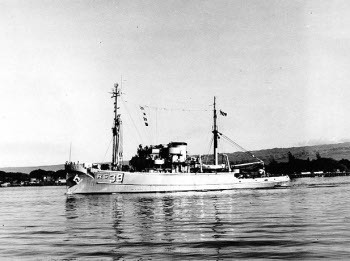 The Japanese commissioned a number of salvage and repair vessels that somewhat resembled the U.S. ships, but with more limited repair capability. The Japanese also salvaged two scuttled Dutch ships, Albatros and Poolster, and captured the Norwegian ship Halldor, and converted them to the salvage and repair ships Arabato Maru, Haruta Maru, and Horei Maru.